Jeanie Barton led this project for us and much was achieved over the festival weekend 16-17 June; the action has continued with artists returning to complete their pieces plus more artists starting subsequently. We raised around £3000 through sponsorship and a crowdfund in order to make it all happen and the flurry of activity garnered much publicity with the BBC, Nottingham Post, Breeze Magazine plus many online publications and social media posts praising the art works (which are very varied – hopefully providing something for everyone). 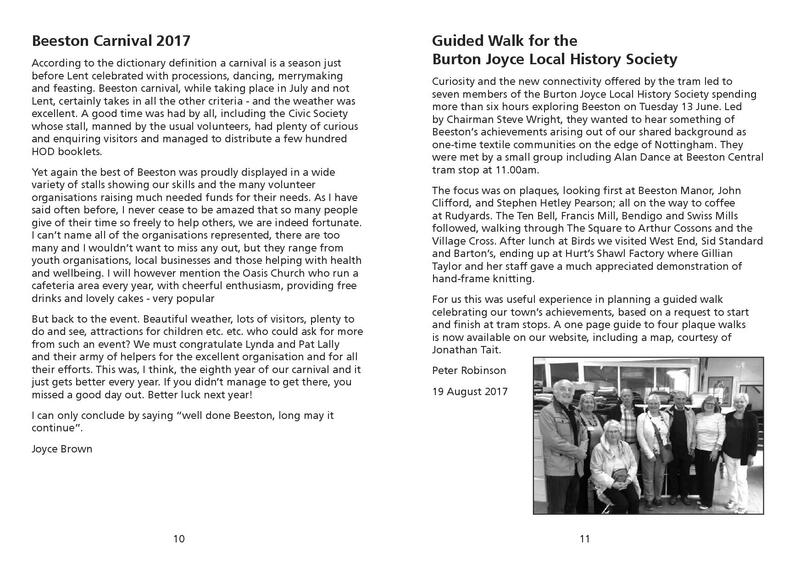 Below is the most recent program/guide published for Beeston Carnival a few weeks ago. 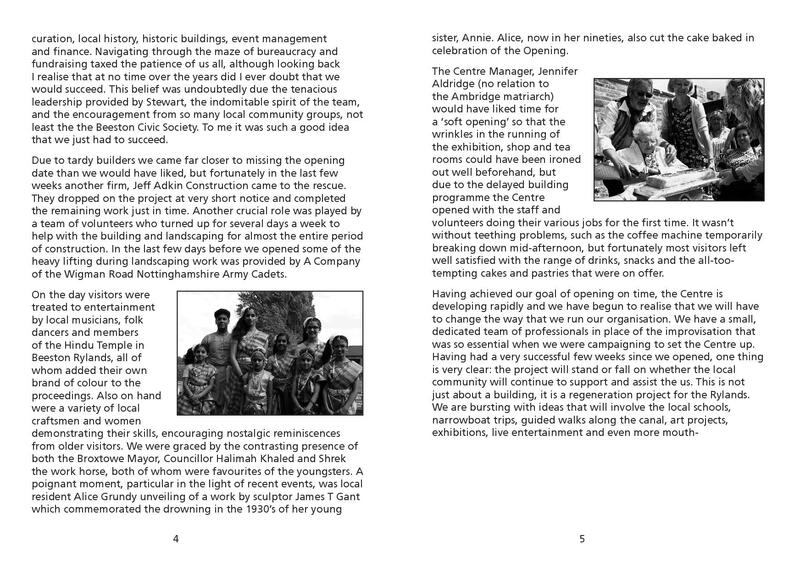 You can see completed works and download a .PDF of this brochure from this Dropbox folder. 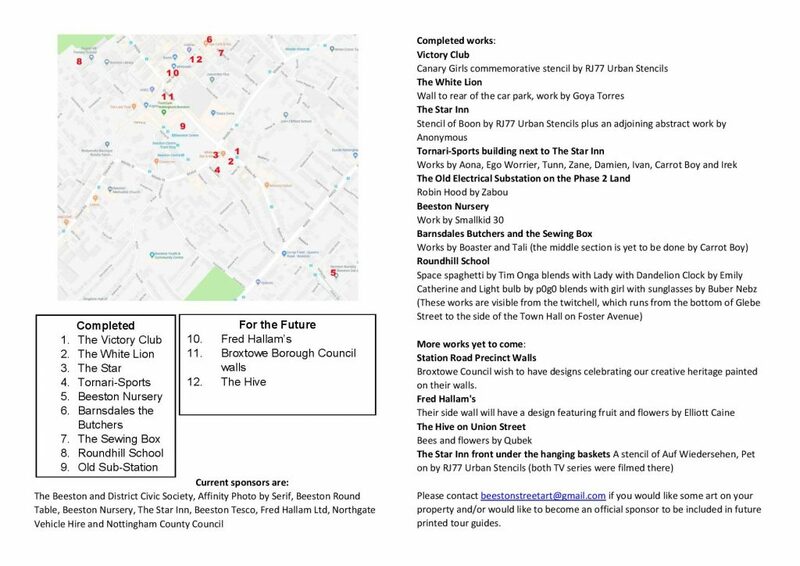 Our festival prompted Broxtowe Council’s leader and deputy to look at the costed design commissions we presented last year and their Finance and Resources Committee voted on 12th July to spend their ring fenced £8k art fund on Street Art! Their first commission will be portraits of Sir Paul Smith, Edwin Starr and Richard Beckinsale by Zabou on the Station Road precinct walls leading down from Birds to the delivery entrance. This will happen after the summer. We also have some funds remaining from our festival and look forward to Elliott Caine painting the side of Fred Hallam’s in a design featuring fruit and plants, plus Carrot Boy is going to do the store building in between Barnsdale’s and The Sewing Box and The Hive on Union Street will have bees and flowers by Qubek (we also hope to get him another wall later this year) not forgetting RJ77 Urban Stencils will return to paint a portrait of Auf Wiedersehen, Pet on the front of The Star Inn (another series filmed there). We have our eye on other prominent dull walls, some of which are currently going through probate and others for which we are awaiting freeholders’ permission. We are going to try and make the council’s £8k stretch as far as possible (it can be spent within 85 meters of the phase 1 buildings). 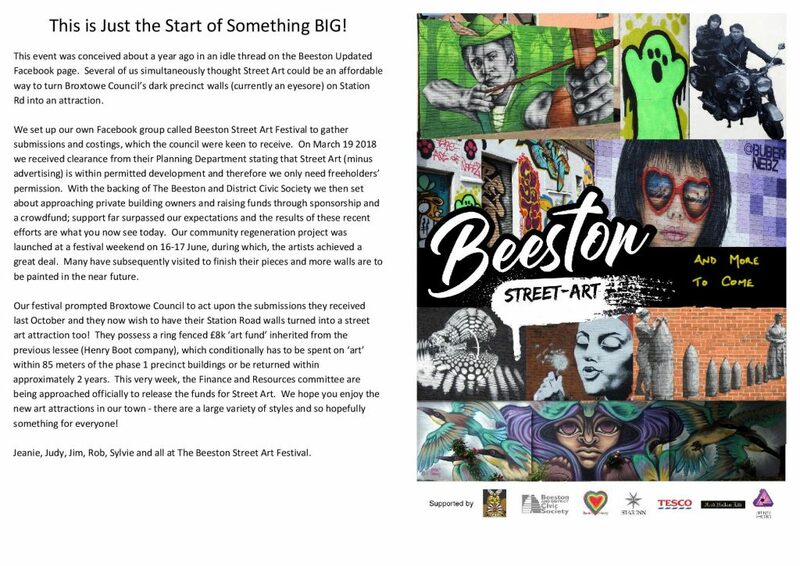 If your business would like to become a sponsor and feature in the guide booklet that will be produced for tourists later this year, please do contact beestonstreetart@gmail.com. Many thanks so far to; Affinity Photo (Serif), Beeston Round Table, Beeston Nursery, The Star Inn, Tesco Beeston, Fred Hallam Ltd, Nottingham County Council and Northgate Vehicle Hire. We are proud to be supporting the community/facebook group Beeston Street Art Festival this year. We have set up a Crowdfund page to help cover the costs of visiting artists who want to create attractions around our town. Do please give what you can – the FREE event begins at our coffee morning on National Civic Day at the hub in The White Lion, continuing with live music plus exhibition pieces inside and out and painting in the grounds as well as elsewhere around town. This festival will encourage socialising, culture, wellbeing, creativity and learning in Beeston as well as attracting trade and investment during and after the festival weekend. One work by Rob Jackson (RJ77 Stencils) will commemorate the centenary of the Chilwell Explosion with a portrait of Canary Girls at work on the front wall of the Victory Club on Station Road. 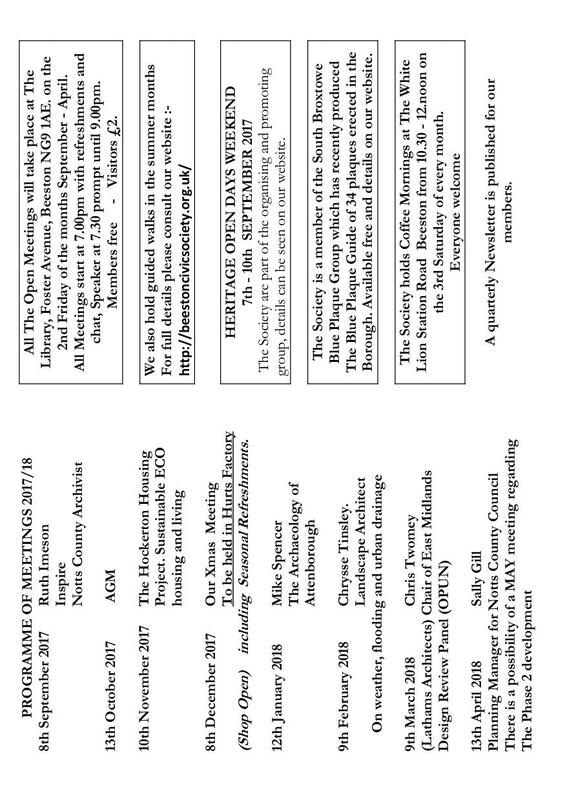 So far 7 other freeholders of buildings around town want an art attraction – we have many internationally acclaimed artists wanting to visit, so let’s see if we can make this year’s festival as big as possible! Many thanks in advance and see you there. Park on Long Lane and walk to the church. Assemble in the churchyard at 6.30. Approximately 2 hours. This evening walk is one of the events commemorating the centenary of the explosion at the Chilwell at the Chilwell Shell Filling Factory (now the Chetwynd Barracks compound) on 1 July 1918. The walk will include a visit to the church, and to the Strand, as well as an opportunity to view, and hear about, the Environment Agency’s flood scheme. This two hour walk will take in some of the sites and, where they survive, buildings linked to Beeston schools and also to places of entertainment. Beeston once had many more schools, and also cinemas and other forms of entertainment, quite apart from pubs and clubs. This 2.5 hour walk will begin and end in Beeston Square and will provide a brief introduction to the history of the town. 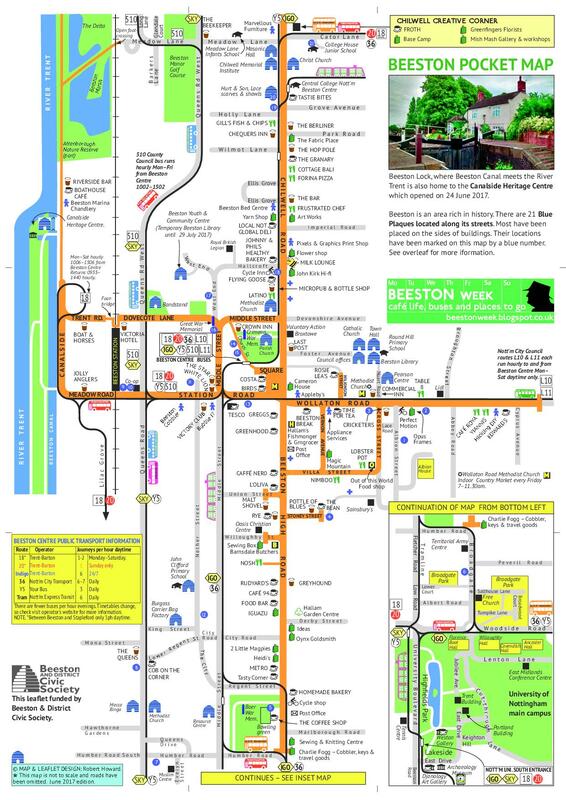 Beginning with an outline of the structure of the town, walkers will then circle the centre of Beeston to take in the remaining mills, the High Road, Middle Street, new developments either side of Station Road, and old Beeston (West End, Church) before returning to the Square. 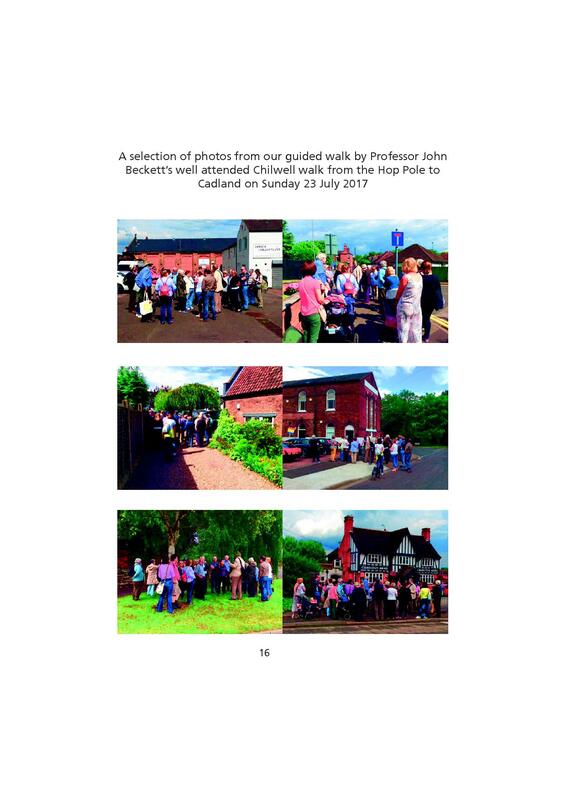 The hope is that those who come on the walk learn something about Beeston and will be challenged to find out more! 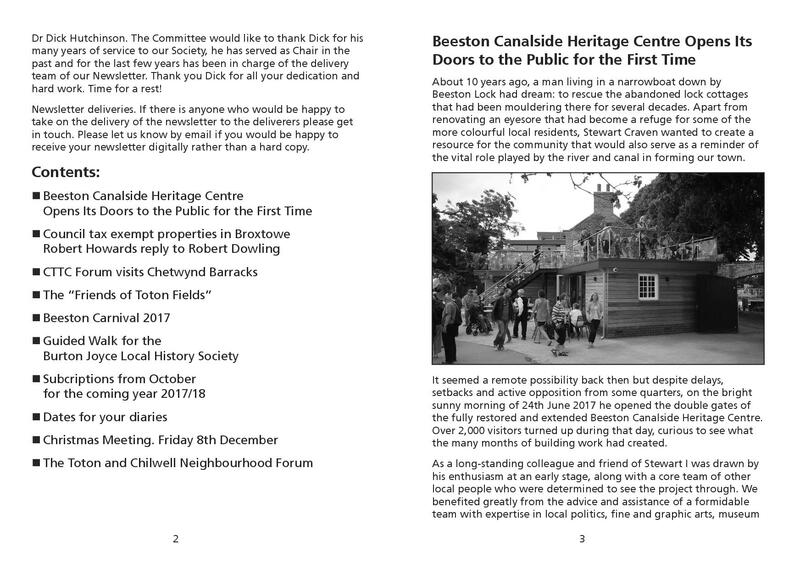 The 45 minute reports and discussion chaired by Stan Heptinstall took place immediately after the Beeston and District Civic Society AGM 2017. 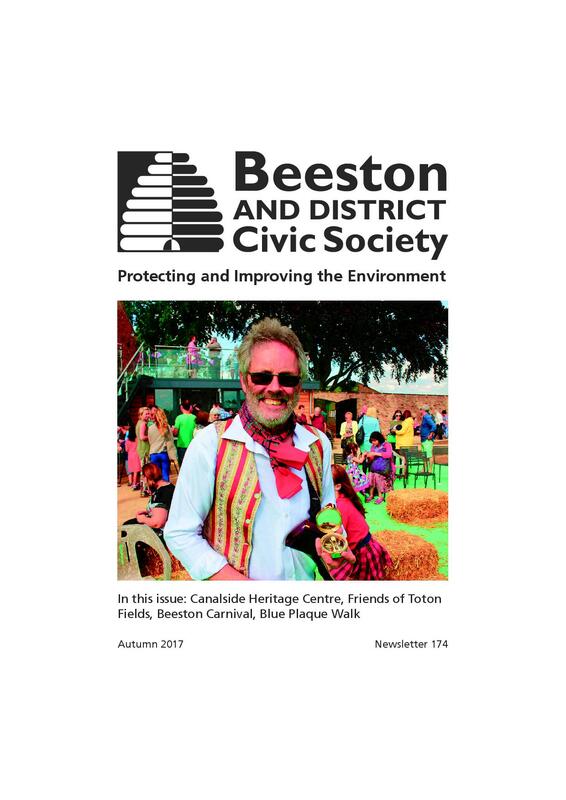 The Society undertook to report progress at the AGM when we met for the ‘Vision for Beeston’ event on Friday 7 April 2017 in the Pearson Centre. 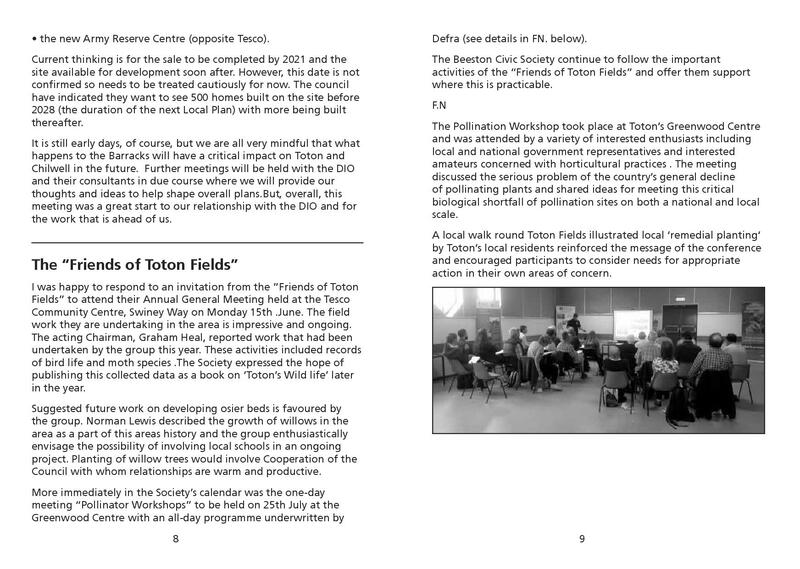 The object of the April event was to fast forward thirty years to envisage the kind of place we would like Beeston to be beyond the planning horizon. We live in a time of accelerating global change and population growth, with more people expecting higher standards. Simultaneously we are absorbing new technologies and facing limited, finite resources. This Society has a particular long-term role in protecting and improving our environment. 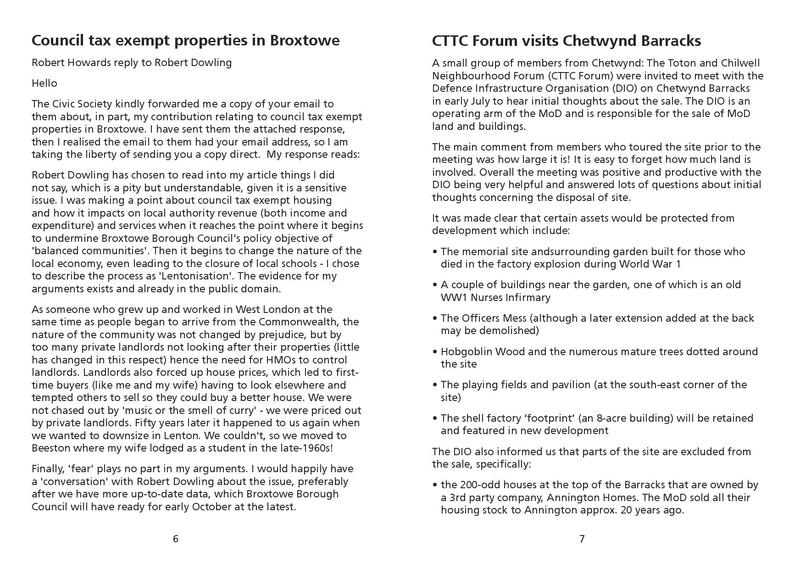 continuing progress on the Toton and Chilwell Neighbourhood Forum embracing Chetwynd Barracks, including firmer information about HS2. 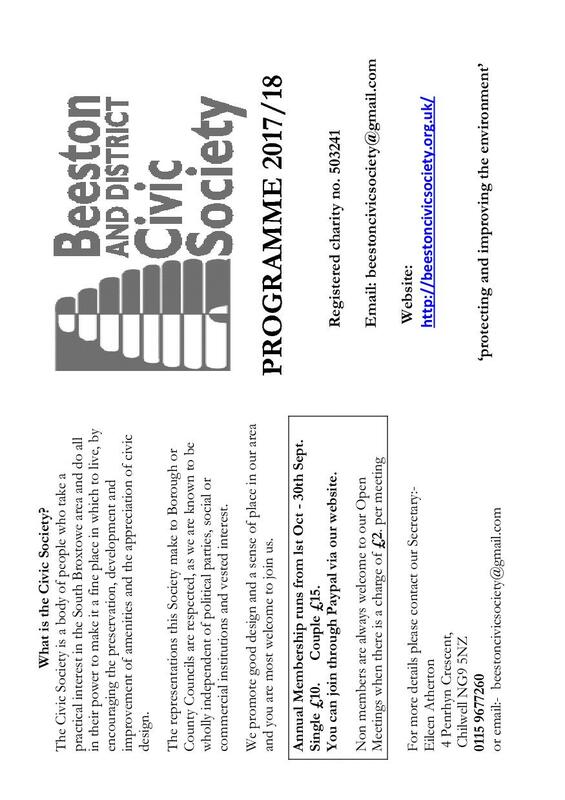 What is Beeston about today; how are we perceived by others? What are our assets, (some are social, like Oxjam, The Carnival and Heritage Open Days), and how can we make better use of our attractions and strengths? How is the world about us changing and how is it going to impact on us? Particularly relevant is the changing nature of retail and its impact on town centres. In unpicking these issues we could start to focus on why and how as a Civic Society we can protect and improve our environment. What does pride of place mean to us? 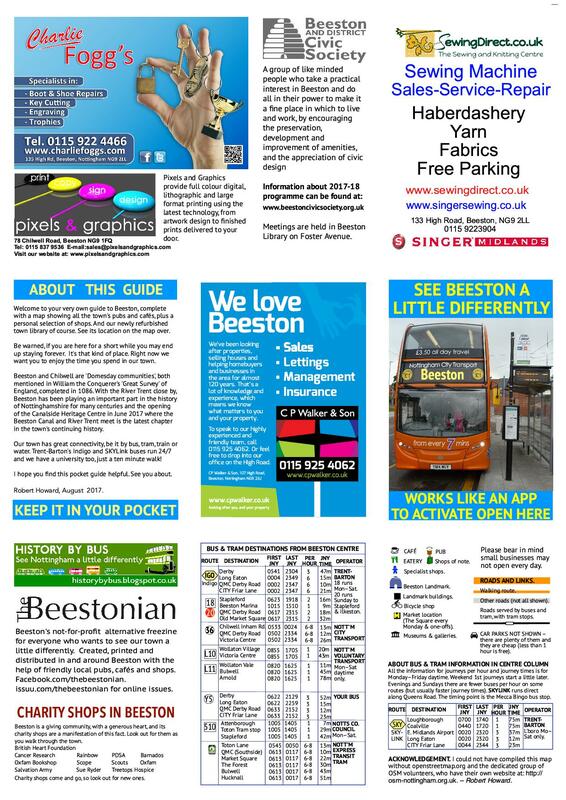 How can we help to make Beeston a more attractive, confident and welcoming place to live in, work in and to visit? The way initiatives are taken forward must be a key element in all of this thinking. We no longer live in a command economy where resources can be directed. 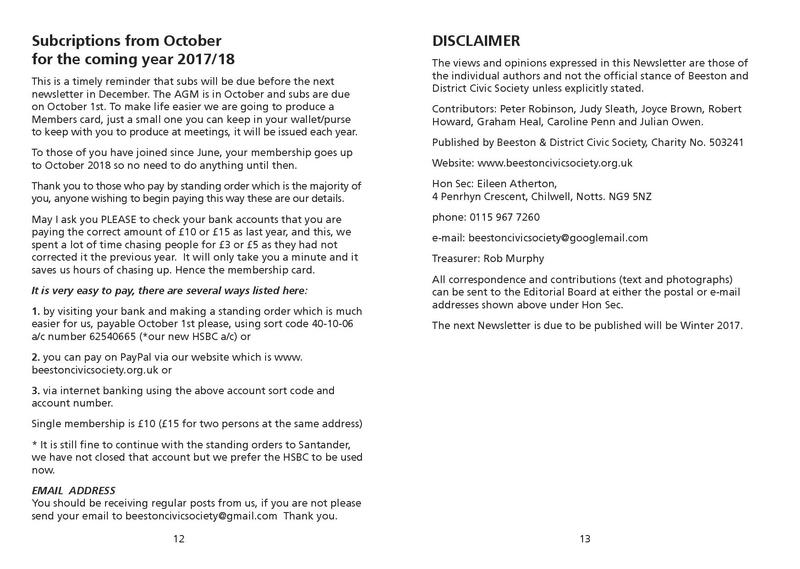 £8k is available from Henry Boot via Broxtowe Borough Council as a ‘ring fenced’ Art Fund. Street art could give a facelift to Station Road, creating an attraction out of an eyesore. Submissions have been sought from artists; with twelve received and four described as ‘affordable large-scale possibilities’. The Council is showing interest. A presentation folder has been passed to John Delaney with a response expected shortly. Artwork would comprise murals on the Station Road Birds’ walls; owned by the Council. Responding to maintenance questions; murals should last at least 10 years without attention using Montana spray paint or another reputable brand of high definition paint. The Station Rd walls are also out of the sun, which could increase the durability to 15 years, after which touching up could be done or a whole new festival held. Proposals did not include changing the stump in the Square, or a clock. Restoring the hanging baskets was seen as one way of making Beeston greener. Another is to ensure that planning permissions on Phase 2 etc. include green space and green issues. Potentially we should be able to influence conditions applied to planning consents. The Centre is being managed with gusto and is financially sustainable. An army of volunteers turn up every week. The site is turfed and is looking greener. Vibrant artwork is being encouraged and the website is being developed. Many things are planned, including a sustainable trail with Attenborough Nature Reserve. Ways of using the waterways to advantage are being explored, including canal boat trips. Another possibility is to restore the ferry to Barton in Fabis. The possible impact on Tony’s Cafe is being monitored. The Centre is the product of many years work by Stewart Craven. A question was raised about possible gravel workings on the Clifton side of the Trent. He expected that how we buy things will alter. Present patterns of retail may have disappeared by 2050 raising questions about what our town centres are for. Will more people want to live in town centres? There are serious housing issues as whole segments of our population become disenfranchised. Where will they go? We need to explore housing options. A more general discussion started and ended with a focus on Beeston Station as a key entry point to Beeston, but was cut short through lack of time. 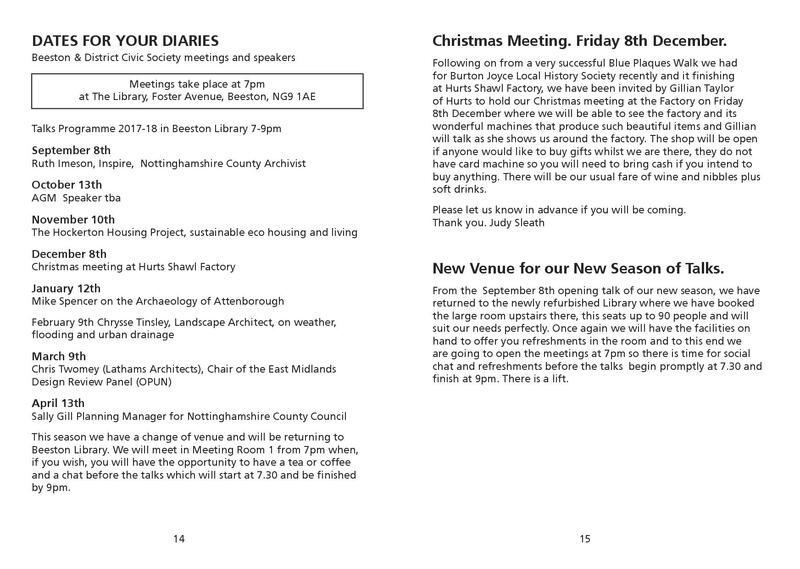 Notes from the evening would be summarised for the Civic Society website. tactical, by being agile, adaptable and pragmatic. Seize opportunities as they arise. Inevitably, events will occur unexpectedly that will open up possibilities for change. We have been petitioning to save this 1936 Art Deco building from proposed total or partial demolition. Please sign to protest the council via this link. Join the event on Facebook to help spread the word.